Outer material is a sturdy upholstery fabric by Joel Dewberry and lined with a heavy brown linen interfaced cotton. 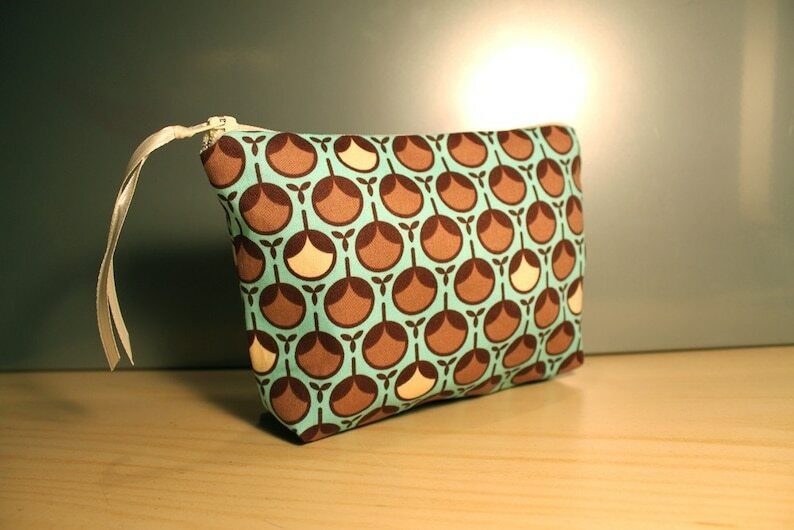 Brown zipper has a ribbon pull for easy opening and closing. Measures approximately 7" wide x 5" tall x 1.5" deep.